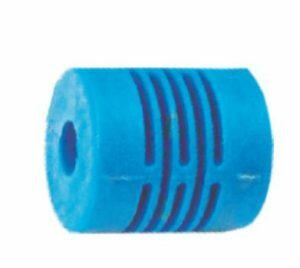 Flexible Coupler FC-22 Molded from high end engineering plastic under specific atmospheric and moulding condition to have a good quality of flexibility. As a part of service to electronic automation industry, POTEL has developed plastic molded flexible coupler ideally suited for low torque coupling of drives & encoder. Since FC-22 is a engineering plastic molded part it is ideally suited for food / pharmaceutical industry and areas requiring electrical isolation. Model FC-22 is designed with high flexibility and lower twist to take care of misalignment. Customization in the FC-22 model is possible based on the Quantity and feasibility.